Even though I'd be lost without my Kindle, I still love the feel of a paperback book: the smell of the paper, the weight of it in my hands, the occasional food or drink stain that makes it feel lived-in. So, when my friend C recently moved to her new flat and asked if I wanted to take any of the books she was otherwise going to give to the charity shop, I of course filled my boots. 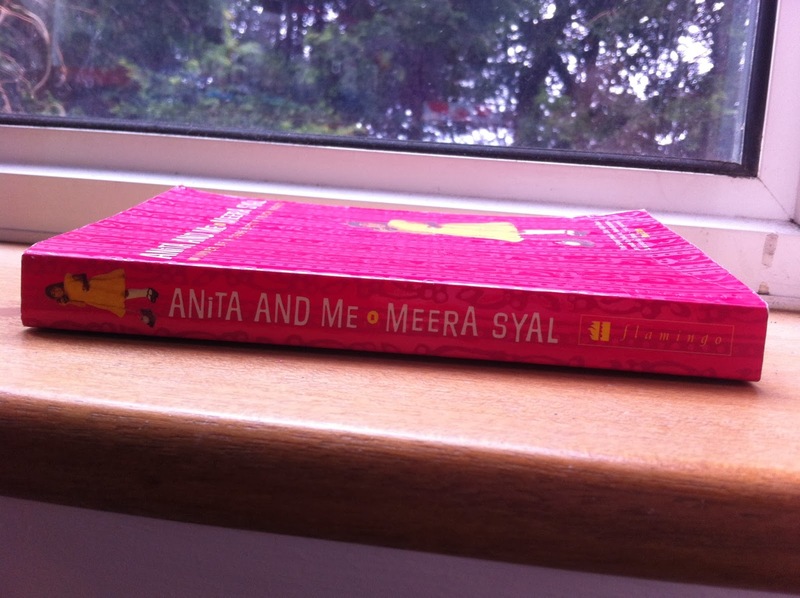 I ended up leaving her flat that day with seven - yes, seven - paperback books weighing down my backpack, and the first of them I read was Anita and Me by Meera Syal, who is probably most famous as the star of Goodness Gracious Me and The Kumars at No. 42. Set in the fictional Midlands mining village of Tollington in the 1970s, Anita and Me is a semi-autobiographical coming-of-age novel. Meena Kumar, the only child of Tollington's only Punjabi family, longs to fit in with the other local kids - specifically, to be part of a gang led by the titular Anita - and to have a 'normal' childhood of chippy teas and Christmas rather than dhal and Diwali. Gradually she ends up falling in with Anita's gang and trying to work out not only who she is, but what it means to be part of two very different cultures at a time of huge social upheaval. The first thing I have to comment on is how brilliantly Meera Syal captures the contrast between the village of Tollington and the Kumars' Indian friends - there's a brilliant image of a flock of 'aunties' getting out of a tiny car in a multitude of beautiful saris in every colour of the rainbow and the stark contrast to the dingy backstreets. I also love that she writes onomatopoeiacally, meaning that you can hear how the characters speak as you read it in your head, which works so well for a novel where having that sense of place and displacement is absolutely vital. It also comes into play later on when the use of language becomes particularly significant in Meena's world and amongst her peer group. Thirdly, even her peripheral characters are fantastically well realised, from Auntie Shaila and her supposedly perfect daughters Pinky and Baby to Meena's grandmother, who barely speaks throughout the entire novel but has an enormous impact on her granddaughter's life. When you've got such a huge cast of characters, making them all unique is an enormous juggling act, and Syal pulls that off with aplomb. Now, you all know what I'm going to criticise here: the ending. Once again it feels like it's all a little bit rushed. I can't say too much because it will spoil it, but things do happen very quickly and there's a sense that Syal wasn't necessarily sure how it was going to end, meaning I felt a bit like I was left hanging. I am aware that there's an art to leaving your readers wanting more - and the book certainly does that - but the point at which it ends just doesn't quite feel natural. But that is a very, very minor nit-pick, and now I've stepped away from the book for a little while I actually really appreciate that I didn't get a satisfying ending at the time, because it's making me desperate to find out what happened next to Meena and Anita! Overall, I really enjoyed Anita and Me. The characters are full of personality, the setting is brilliantly evoked, and it captures the sense of feeling of not quite belonging that I think all of us go through at some stage, whether that's through Meena's parents missing their family in India or Meena herself unwittingly saying the most shocking things in a desperate attempt to be 'one of the gang'. It completely transports you to a different world and takes you on a journey with the characters, and at the end of the day that's exactly what I want from a book. Just wonderful. 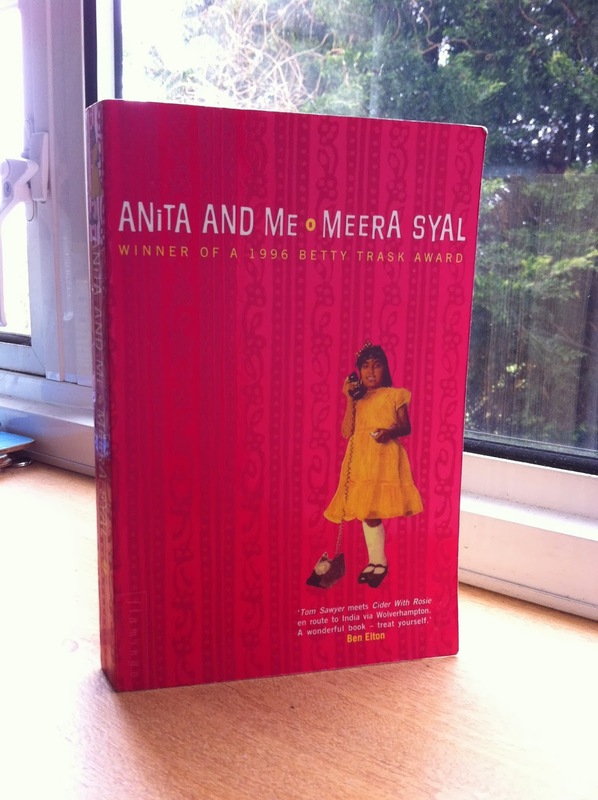 If you fancy reading Anita and Me it's available on Amazon at a cost of £5.59 for the paperback or £3.85 for the Kindle version (other book retailers are available, as they say on the BBC). Do you have any favourite coming-of-age novels?